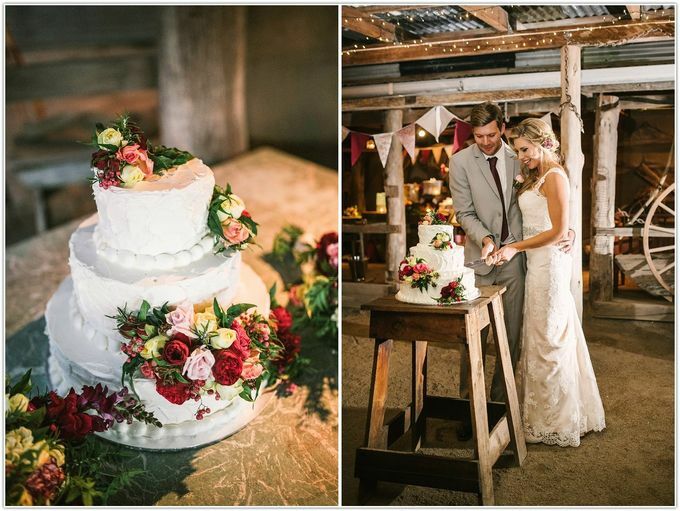 This wedding was a joy from start to finish. 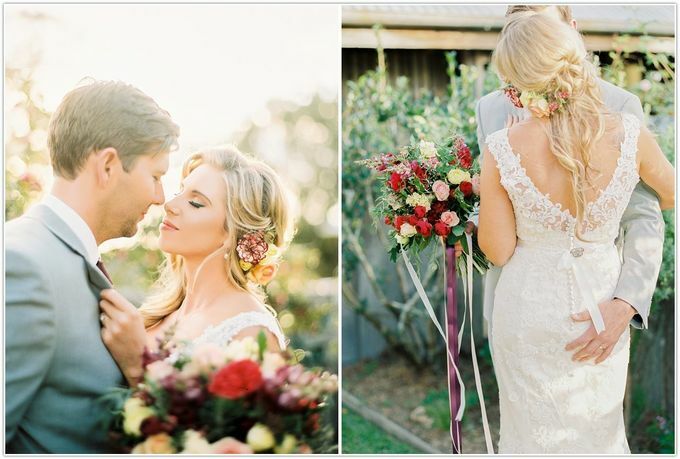 Our couple were sure of one thing - flowers! 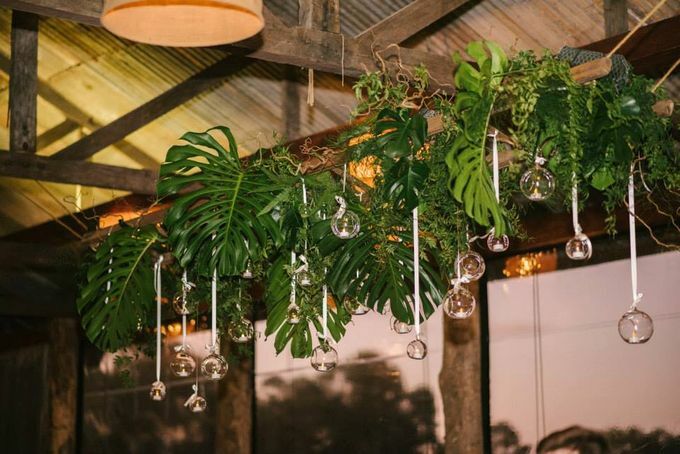 And lots of them! 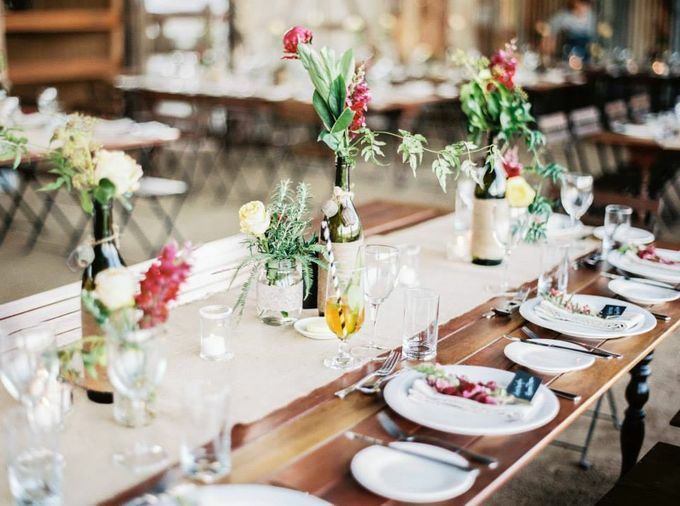 The colour palette was one that is sure to be a hit this season, with burgundy, lemon, peach and red featuring heavily amongst up cycled vessels, twisted willow features and twine wrapped wine bottles. 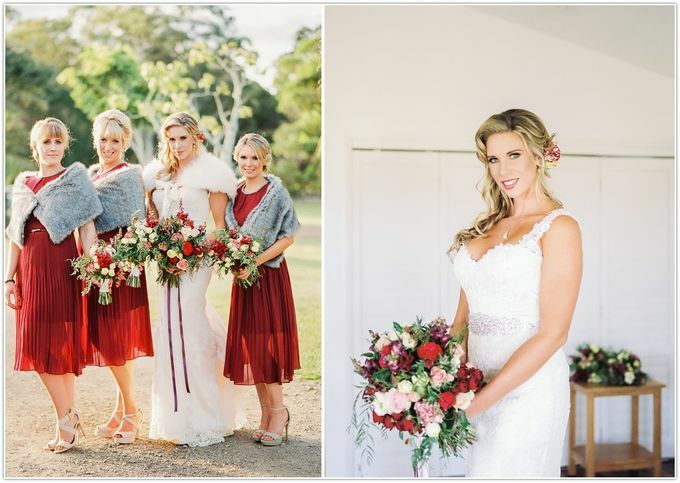 Our bride was absolutely stunning - with her hair pulled back and secured with fresh blooms, the overall look was so beautiful, so feminine and ever so romantic. 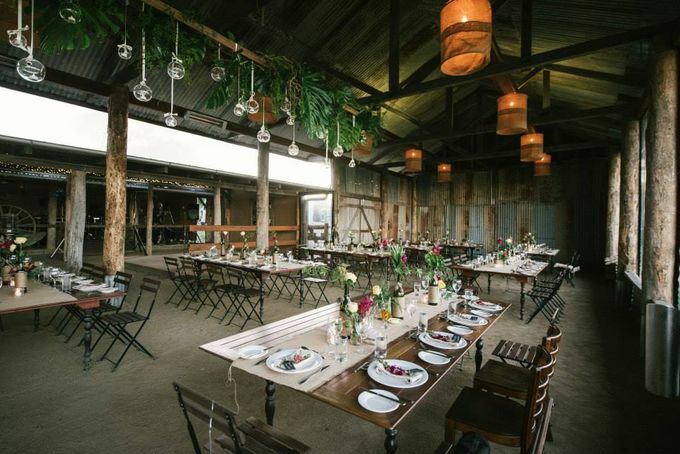 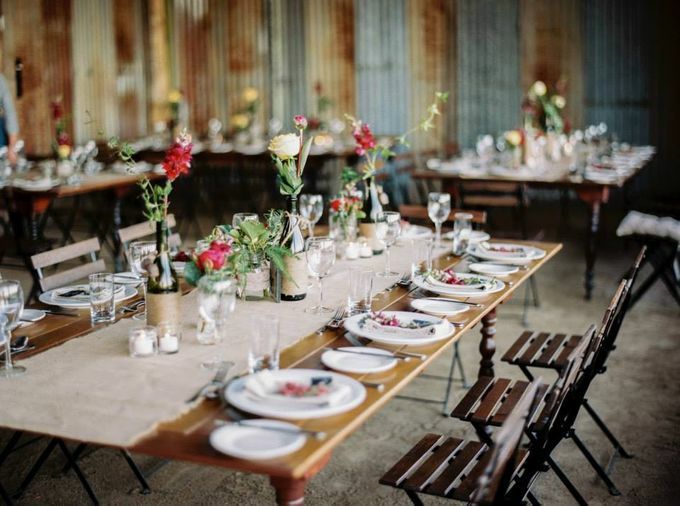 Yandina Station offers an amazing environment for all sorts of weddings - but the best ones are those that look like they belong there - use of the vintage station props (milk cans, exposed beams and tin) make this a joy to create amazing spaces in. 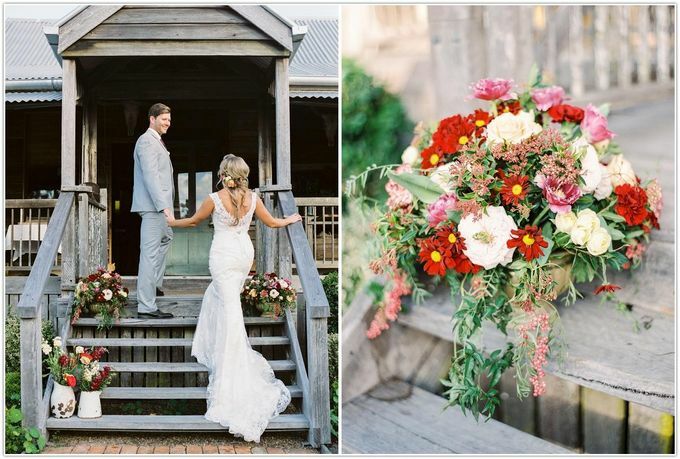 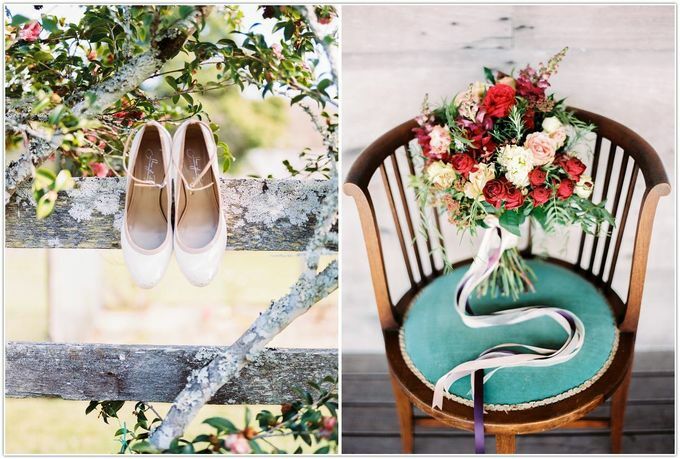 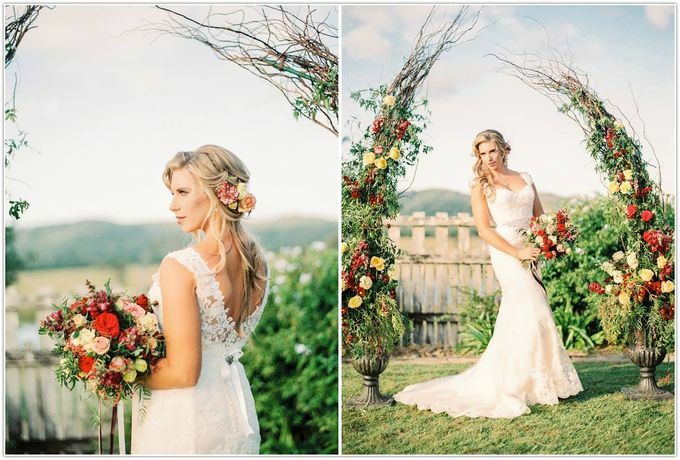 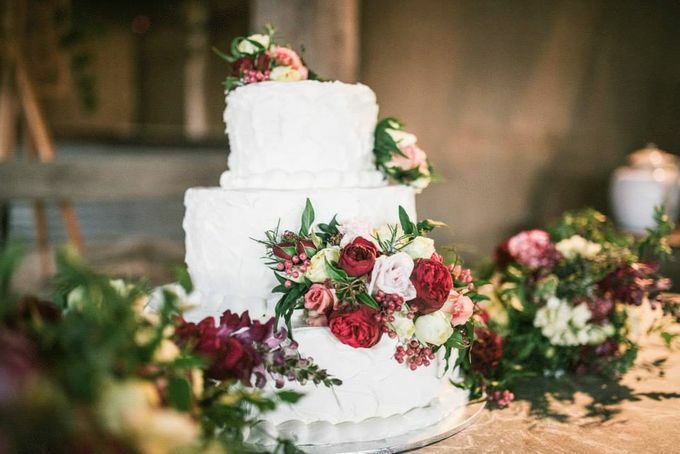 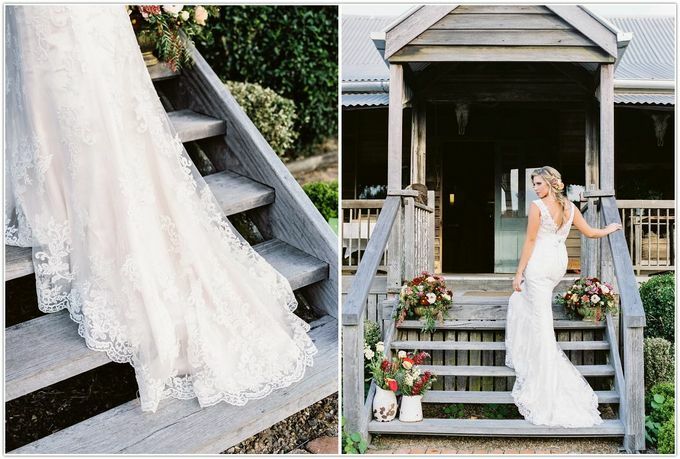 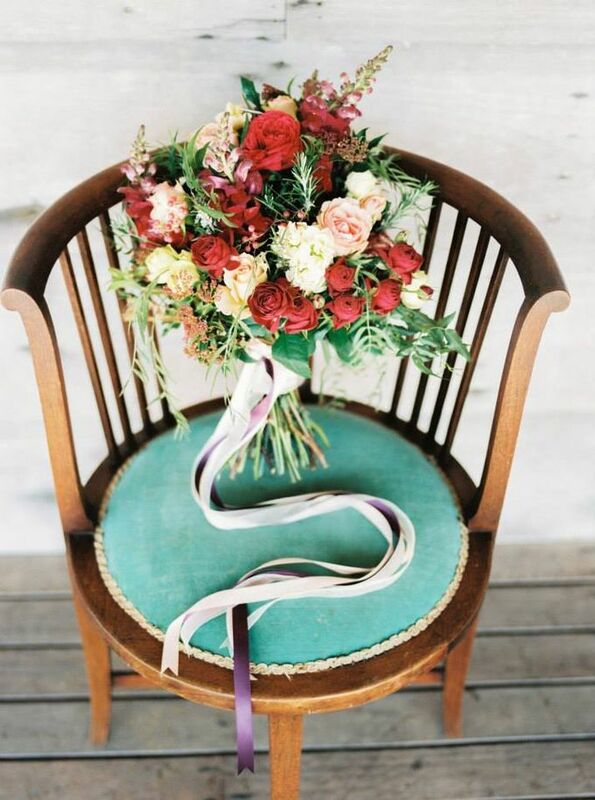 See for yourself - captured beautifully on film by Casey Jane Photography.